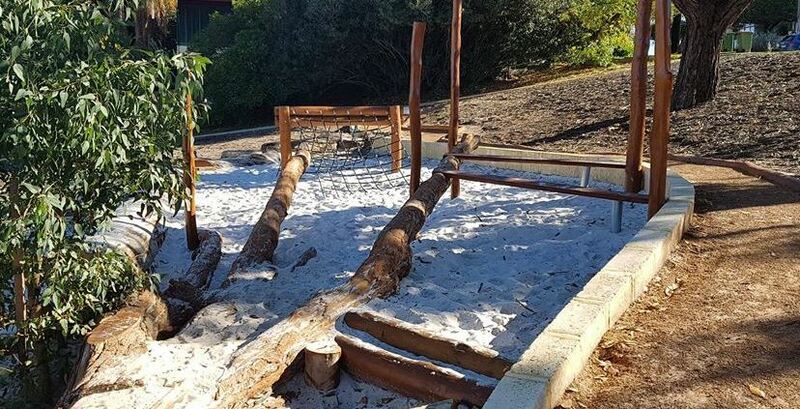 Bert Wright Park (referred to as Ben Wright Park on google maps) has a newly built nature playground, located behind Bayswater Library, set back from busy King William Street, Bayswater. It is a lovely little park surrounded by large trees and green grass. The park itself has a BBQ, park benches, bins (with doggy poo bags), basketball court and large sandpit where the old playground was located. 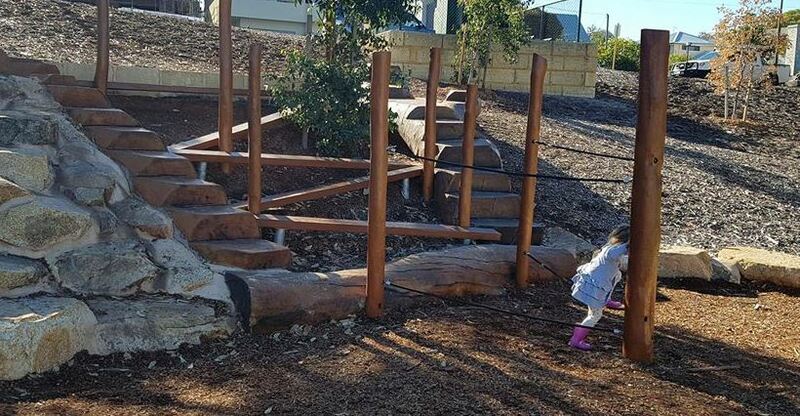 The new nature park has an awesome spinning basket swing which provided lots of entertainment for my 3.5 year old. Literally had to peel her off it! 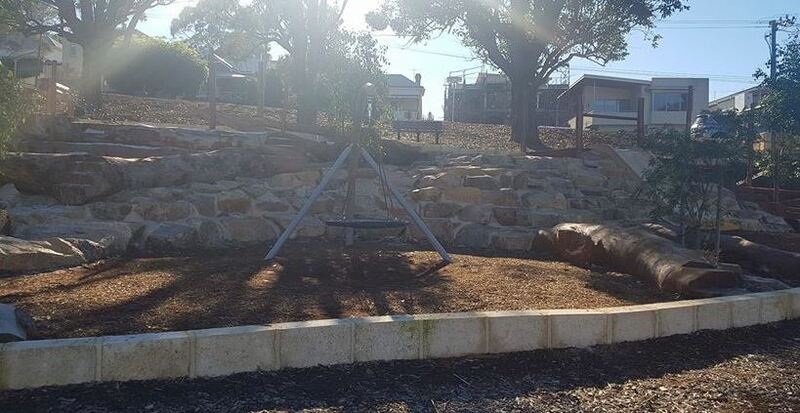 This playground is a must for keen climbers as there are a number of different balance and climbing branches and rocks suitable for various skill levels from young kids through to older kids. 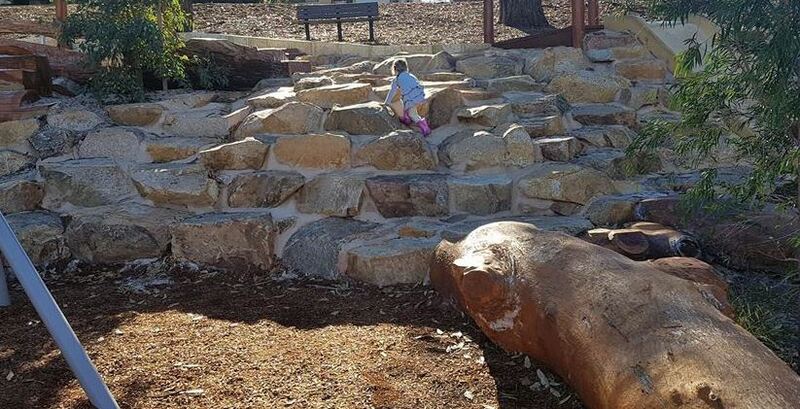 There is a concrete slide and climbing frame which provided lots of enjoyment. 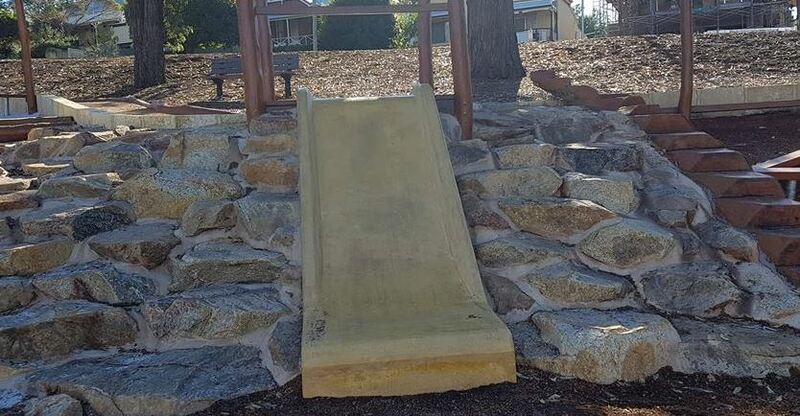 I would guess the slide may get a little hot in summer. 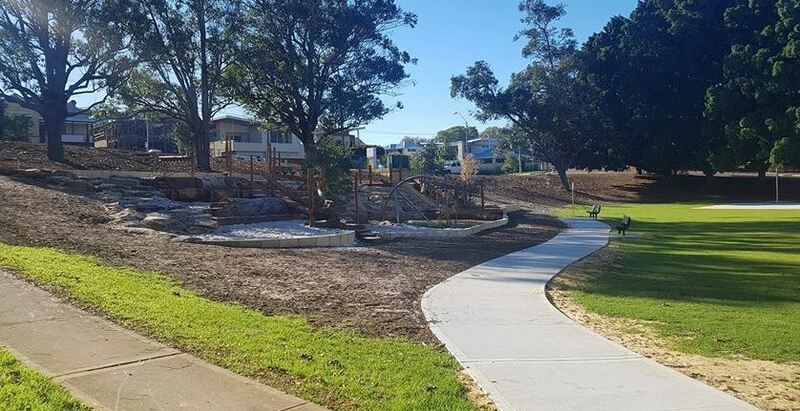 Overall, this quaint little park is worth a looksy of you're in the area and less than 100 metres away you can get coffee from TBSP, Howdy Coffee and Drip Espresso Bar. 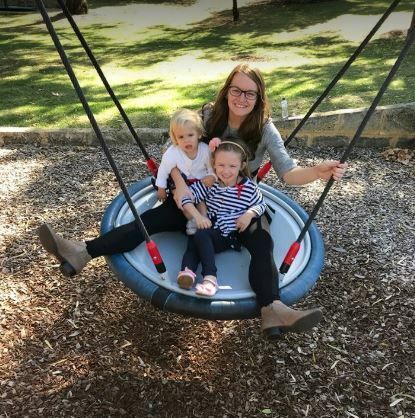 Bert Wright Park is also right behind the Bayswater Library so you could combine your visit to the park with a visit to the library. Storytime is Monday and Fridays 10.30am. They also run some school holiday activities - you can find out what's on these school holidays here and book your kids in.